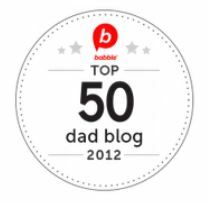 We’re big artichoke fans in our house. It’s funny how people who’ve never tried them before look at you like you’re from Mars when you bring them out. We usually trim the prickly outer leaves, boil them up whole, and then eat them one leaf at a time with a tasty dipping sauce. 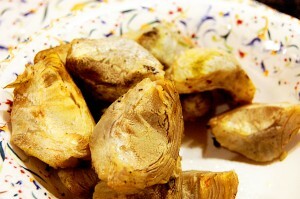 Occasionally though I’ll spend the time to make this delicious recipe for grilled artichoke hearts. They’re a bit more work than the standard but oh, so worth it! Bring a large pot (8 to 10 quarts) of salted water to a boil. Prepare the artichokes by snapping off the dark outer leaves until you expose the yellowish leaves with pale green tips. Lay each artichoke on its side. With a sharp knife cut off the remaining leaves just above the base. Using a small teaspoon, scoop out the fuzzy choke. Cut the base of each artichoke in half lengthwise, through the stem, and then trim the stem, leaving about 3/4 inch attached. Using a small, sharp knife or vegetable peeler, trim and smooth the rough and greenish areas around the base. Trim about 1⁄16 inch all the way around the stem to expose the tender part of the stem. 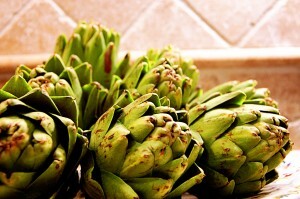 After each artichoke heart is trimmed, place it into a large bowl mixed with lemon juice (to prevent discoloration). Drain the artichoke hearts and cook them in the boiling salted water until you can pierce them easily with a knife, about 10 to 12 minutes, but don’t overcook them. Drain the artichokes in a colander and place in a large bowl. While still warm, add the oil and salt. Toss gently to coat the artichokes. Preheat the over Medium heat, and brush the cooking grates clean. Lift the artichoke hearts from the bowl and let any excess oil drip back into the bowl. Grill the artichokes with the lid closed as much as possible, until warm and lightly charred, about 4 to 6 minutes, turning them once or twice. Serve warm.